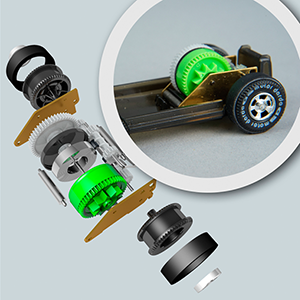 DARDA® tracks and cars, why? Because you and your child deserve the original! DARDA® tracks have long been a modern myth in the toy sector. 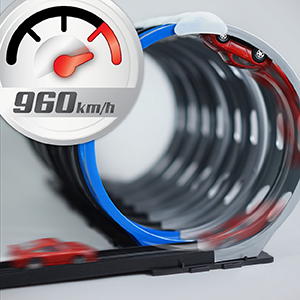 Unmistakably strong – the drive unit of a DARDA® car. Its power has amazed since its premiere in the year 1975 – the smallest mechanical propulsion motor was a true technical revolution of its time. Since then the DARDA® motor has propelled a large variety of high-performance racing cars – at maximum speeds of up to 960 km/h! Not just the motor is intelligent. The universal connecting piece makes it easy to set up a track. 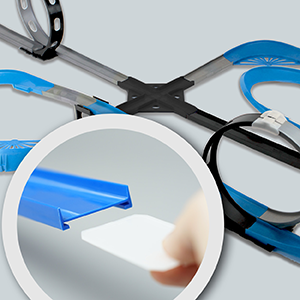 Whether a stretch of straight track or loops, each DARDA® element fits to the next. Constantly new track combinations mean endless fun. DARDA® – good reasons for the original! 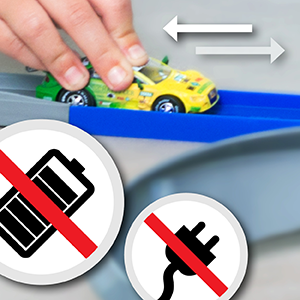 Ingenious and simple: maximum speed with DARDA® happens without electricity or bothersome batteries. The small racing cars are not even held back by a key to wind them up. In short: permanent racing fun with no ifs and buts. High-precision, impressive, unique: the DARDA® motor power packet. A spring-loaded drive motor pumps full power into every DARDA® speedster. Press down, wind up, off it goes! Press down, pull forwards and back – off it goes! The DARDA® power packet is loaded in a trice. Maximum speed is ahead! 2 motors, double excitement. 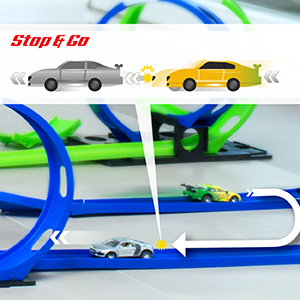 With the optional Stop & Go motor you can simply park DARDA® racing cars on a straight stretch. Given a shove by an approaching DARDA® vehicle, the parked car is catapulted back into the race. One shove and the chain reaction starts!